We had the pleasure to use Mr. Ret's driving services to go to several places around Siem Reap (Preah Vihear, Kbal Spean, Banteay Srei and more) and each time Mr. Ret was on time, friendly, professional and helpful ! He came pick us up at our hotel (always on time! ), drive us in a very comfortable Lexus car. During the drives he was engaging conversation to tell us about his great country. He speaks very nicely English and is always willing to talk & share. He was also very willing to hear about our own country and ourselves so it was a great experience. Mr. Ret always have water for you. He will bring you to nice restaurants where you can try traditional dishes. Unlike others he doesn't drive crazy and always makes sure that his guests are safe. We highly recommend anyone who want to travel safe with a great person to book Mr. Ret. You will not regret it! I strongly recommend Mr. Ret for tours in a private car around Siem Reap. Mr Ret took us to the Beng Melea temple. The car was very confortable and equipped with air-conditioning. Price was very reasonnable compared to others. Mr. Ret is a very friendly person. He is very reactive and answers promptly to any request sent by e-mail. We had very interresting conversations during the drive (he speaks well english) and I learned a lot about the country and the region around Siem Reap. I would not hesitate to take Mr Ret and his car for any other tour around Siem Reap. I contacted with Mr. Ret through internet. Before arriving he answered all my doubts about the visit to the Angkor temples. We only had two days there but he prepared an interesting route which included our requirements. During the visit, he advised us about the time in every temple and answered all our questions about the temples and Cambodian lifestyle. He also organized the trip to Poipet and put us in touch with another driver to continue our trip from Poipet to Trat. We thanks Mr. Ret his interest and we would recommend his service to our friends. 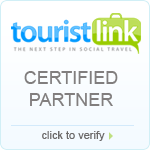 Being the certified member of Touristlink.com. We are glad to award you with a printable certificate which can be displayed in your local office or reproduced on your website. I'm planning to visit to somewhere.I think I'll have a trip to Cambodia when I'm free after reading this article! Хороший водитель, с которым мы провели 4 дня. Очень длительный и хорошо знаю, особенно туристов Ангкор Ват и другие храмы. Предлагаемая нами отличный и удобный во всех отношениях маршрута. Свободно владеет английским и знает интересные истории о своей стране. Сразу предложили адекватную цену и немного после продажи своего дна, в первую очередь усилили очень высока, и в долгой переписки должен быть опущен. Очень осторожно, но быстро несет. Рекомендовал бы его всем моим друзьям.